According to human needs, education can be divided into three parts; social or political education, spiritual education, vocational or technical education. It is along with general education as much important for a country as the air for survival. By technical education include training in trade, commerce, carpentry, wearing, agriculture, medicine and engineering. Technical education is different from liberal education as it focused on time driven technological earning. Modern state system requires people who are able to run modern machines in industrial sector. It aim is to provide instruction and training in skills that have a practical utility. It helps us to meet the needs of the industrial age. Technical education is very important in the modern age. America, France, Russia and China are rich, prosperous and resourceful because of their progress in technical education. It Produces engineers, builders, doctors and mechanics who are very useful in a industrial society. It is the only answer to the problems of our expending economy. It produces doers and workers. Make a real and important contribution to the welfare of society. We are able to increase the material prosperity economic advancement. It has a great educational value also as it imparts dexterity, quickness, attention to detail, habit of neatness and order. 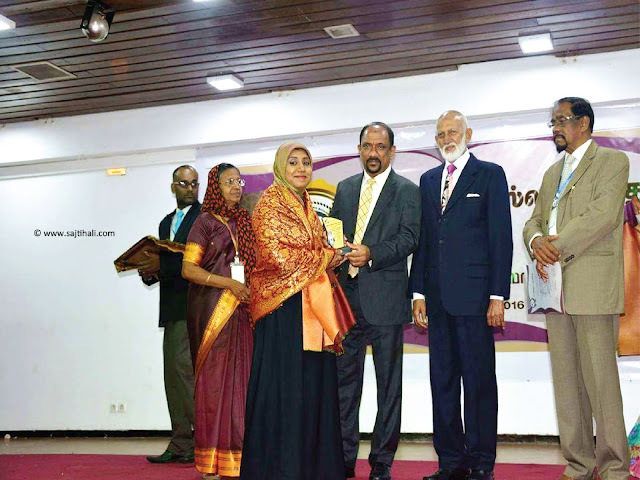 SRI LANKA GIVES TECHNICAL EDUCATION THROUGH THE TECHNICAL AND TECHNOLOGICAL COLLEGES. Sri Lanka is one of the developing countries in the world. It commences to provide the technical education before it’s independence. Now there are around 37 technical institutions including technical and technological colleges. It is especially targeted the students those who are not qualified the university or college of education. Further it contains 24 courses some of them are engineering, carpentry, commerce and information Communication technology they are full time and part time courses. It gives NVQ (National Vocational Qualification) Level certificate from 3-7. It is more recognized in international level. And it helps the students to get the employment opportunities for technical field as well. 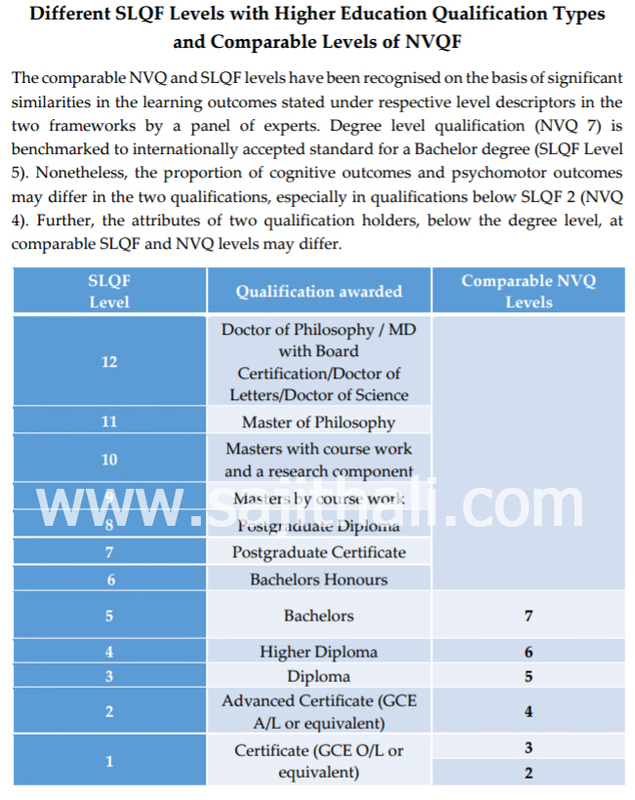 University Grants Commission released Sri Lanka qualification framework (SLQF) in 2015. 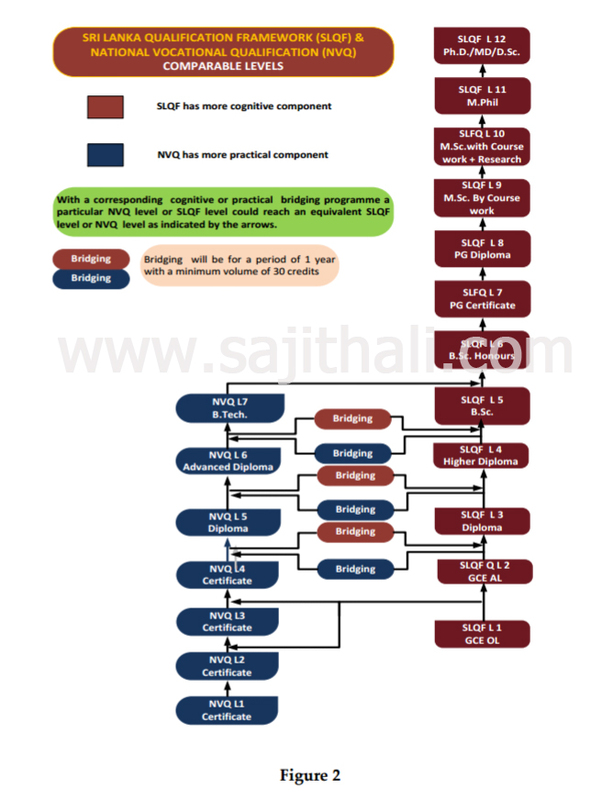 (approved by the University grants commission on 17 September 2015 at the 925th meeting. 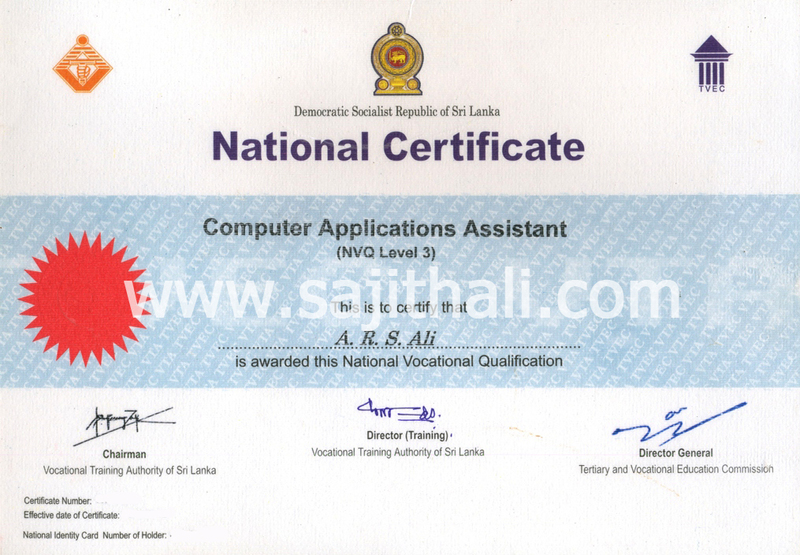 THE SRI LANKAN GOVERNMENT HAS INTRODUCED TECHNICAL EDUCATION IN A/L AS A STREAM. Before they were four streams in A/L. They are arts, commerce, maths and science and the technical education was also limited to the students who were not qualified to the universities. Today the technical education has combined in A/L. They call bio technology (BTEC) and engineering technology (ETEC) not only that faculties are being built for BTEC and ETEC. It is new effort that produce technical experts through the universities and it would be helpful to get and give technical employment opportunities in Sri Lanka. THERE IS SEPARATE MINISTRY FOR YOUTH AFFAIRS OF SKILL DEVELOPMENT. Under the Youth affairs of skill development ministry many new improvement have been taken recently. Computer and English courses were offered only in city. But the present system English and Computer is being taught in village. Such as NENASALA, VIDHATHA, NAITA we can mention. was started to give the computer and English knowledge especially for elders. It will be helpful to face with other countries in future. Technical education will provide the training of the head the had in the technical school, the students are required to use their hands and muscles to exercise their brains, and to observe with their eyes. Vocational education will raise the working classes to self-respect the dignity unknown among them. The time has come when the discovery of science will be put into practical shape and the students will be taught to put into practice their knowledge. Technical education, if imparted on and extensive scale to the youth of our country, will not only make them. Self sufficient but also raise the standard of living of our masses. It will solve, to a large extent, the problem of growing unemployment with our country is currently facing. Technical education is more essential for bringing more crops and services in to the society. If any country wants to advance in the financial arena it has to excel itself in the technology. 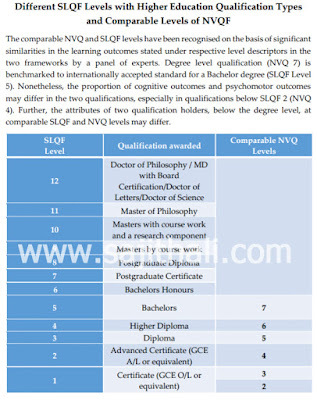 Thereby it may bring more products that helps in creation of service, top class dissertation help perf improving standards of living, earning foreign exchange, and will be an international market leader. This requires better research and development. Research means searching for new facts or alliance of old results.